Skimming is a method that is being used by the fraudsters to capture our confidential information from our credit card or debit card . They divert our card swiping through the skimmer and saves our confidential information that resides in magnetic strip to their skimmers or any other storage device attached to the card swiping machine. 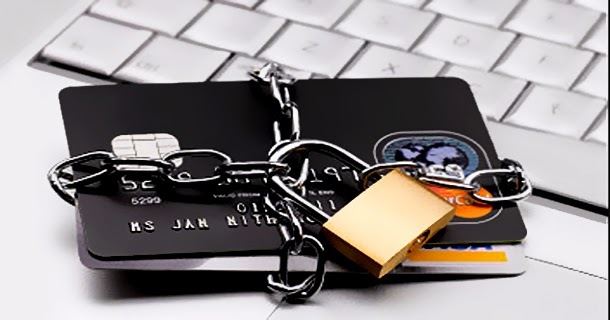 Skimming case is happening in everywhere like- ATM card machine,shopping outlets, restaurants and other places where card swiping machines are available. At ATM card machine fraudsters insert the skimming device to ATM card slot that reads our confidential information from the card and saves to the skimming device. This information is being used by the fraudsters for online shopping or they also make the similar credit card of ours and use at any outlets. Skimming is also happening at restaurants and other shopping outlets. Fraudsters has setting with the outlet owner and they do the credit card swiped twice times. First they use for the regular transaction and the other in the skimmer that captures the personal information which is retrieved later by the fraudsters. 1. When you receive your credit card or debit card from the bank sign on the back-side of the card. 2. Always collects the receipts of your purchase made at any outlets/restaurants etc. 3. Use your credit card or debit card with the merchants that you know and can trust. Never allow any shopkeeper to take your card to a different shop/room for swiping. 4. Avoid using the credit or debit card at tourist filled areas as chances of skimming is more at these places because fraudsters wants to gather more data in short span of time. 5. Make sure to to watch the ATM machine before doing any transactions as most of the time when fraudsters install the skimming devices they tend to leave the red flags (loose , crooked , damaged or scratched ATM , POS system) that indicates that machine has been tempered. Also verify if card reader is not looking abnormal or it stick out more than usual. Check the keypad from any additional sticker on it or is discolored when compared to the rest of the machine as it might have a keypad overlay on it. 6. Cover your hand while entering your PIN number, so that if criminals have installed a surveillance camera, they will not be able to see the ATM PIN. 7. Try to change your debit card PIN periodically (at least once in every six months). 8. When you are taking a new credit or debit card, Always ask for a fresh card number. This will stop the cycle of theft, if your old card has already been compromised. 9. Please do not keep your PIN written down anywhere near your wallet or purse. 10. At last better to consider the credit card instead of debit card for uses, as in case of debit card they are stealing our account money while in case of credit card they are stealing bank's money so at least you will not be out your own funds while the bank investigates.